When you are going to make some changes for home decoration, it is good to consider Indonesia furniture. The furniture in this country is great for both design and quality. Especially, it can be good option when you are looking for wooden furniture. Indonesia is like the best source for wooden furniture. However, of course you need reliable information about wooden furniture before making the choice. It is always important to know the information before making decision, including for your home decoration. When you are going to find Indonesian furniture, especially the wooden products, you will need to know some variations and kinds of wood to find. In this case, there are many woods used for furniture. Since Indonesia is tropical country and it has large area for forestry, it is very possible to get some great quality of woods, including teak that has great durability and strength. There are also other woods to find. This is the famous wood when we talk about Indonesia wooden furniture. This material is not only good for furniture, but it is also great for home construction because of its durability and strength. The wood has natural characteristic that make it strong against the weather conditions, and other causes which probably make the wood less durable. In term of Indonesia furniture, teak is commonly made into dining furniture. Tables, chairs, and cabinets are some of them. For outdoor items, there are patios, tables, and chairs. There are still other options of furniture made of teak wood Indonesia. Rattan is the other references. It not made into furniture in the same ways as the teak. Rattan is usually woven since it has characteristic like a small bamboo. It is quite elastic to shape, but it will be strong and durable once it is dried and processed. This material is made into various kinds of furniture. People can easily find rattan chairs, tables, and even bedroom sets. 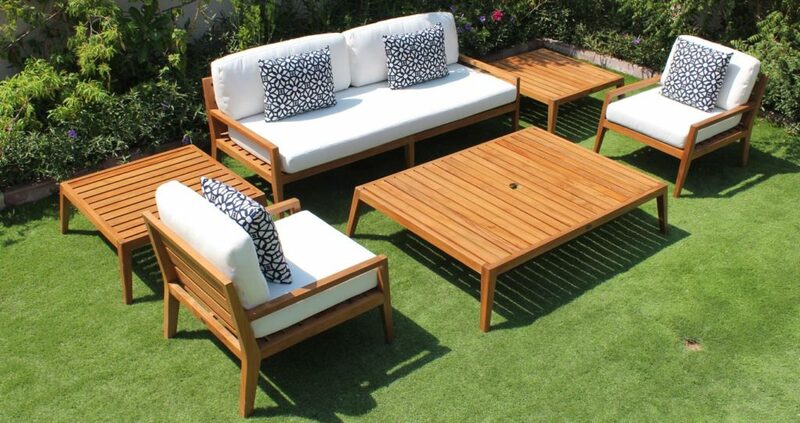 Then, rattan is durable and lightweight, so it is easy to move. This can be become good part of home decoration when you often make some changes in furniture arrangement. The other famous wood for Indonesia furniture is bamboo. It can be made into furniture in many ways. It can become woven items. Then, there are also some kinds of furniture optimizing the unique form of bamboo. Even, some house constructions also use it as important part. Usually, bamboo is found in interior furniture, and it is good for you who are looking for natural and traditional vibes for house. Moreover, it is also similar to rattan that’s lightweight, so it is very flexible. Lately, bamboo is also popular as part of green movement because it can grow quickly compared to other woods. Therefore, it does not bring bad impact for nature. These are some references of wood. Well, those are only some of popular woods to find in Indonesia. There are still other alternative, such as mahogany and rosewood that can be made into the great wooden products. Surely, Indonesia furniture is the best option for home decoration. Why Would You Use Custom Office At Home Furniture? Do You Know How Can You Find Bed Bugs In Your Home?